Friedrich-Ebert-Stiftung (FES) is a private German non-profit organisation, which is committed to the ideas and values of Social Democracy. Please browse through our website to learn more about our organisation, our program areas and partners in Vietnam. In order to create a social dimension to economic development, competent and responsible trade unions that represent the genuine interests of their members are needed. The Friedrich-Ebert-Stiftung is part of the German democratic labor movement and promotes its values and interests abroad. The economic reform process in Vietnam has not only resulted in tremendous success in terms of economic growth, but also a remarkable reduction in poverty and the establishment of a prosperous society. Vietnam is not only one of the countries hardest hit by climate change worldwide, it also suffers from devastating environmental pollution due to its rapid and unsustainable industrialization. Are you looking for information about recent political events in Vietnam, Germany or even worldwide? Are you studying German with a political or economic background? Or are you just interested in politics, economy and law and don't know where to find literature? Now, you've got the opportunity! 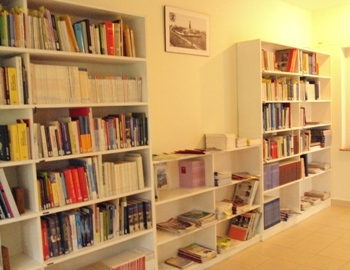 The FES Vietnam opens its library to the public and provides an access to over 800 books and magazines covering up diverse subjects with regard to world events in a socio-economic or socio-political context. Its opening hours are Monday to Friday from 9am - 12pm and 2pm - 5pm.